All things Yen and mummy!!! : My Princess meeting Princess Kate! Sooooo my treacle tart was lucky enough to meet Princess Kate. 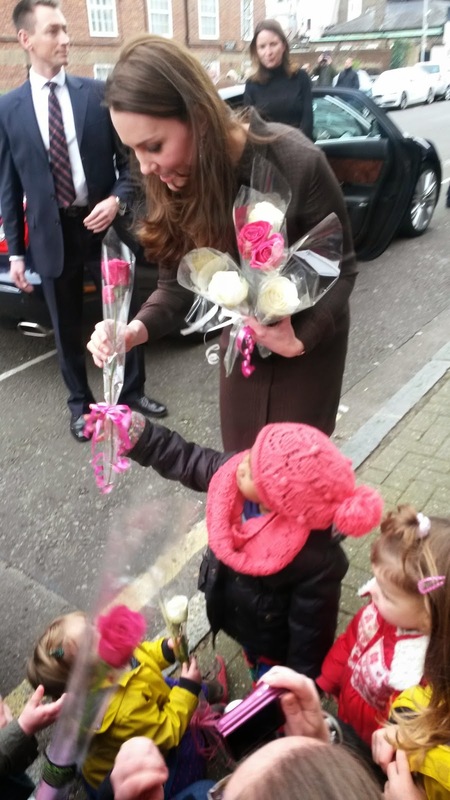 She was around the Islington area visiting a charity so a few children went to see her and each gave her a rose. I was lucky enough to get a few good photos so they will be blown up and framed woohoo!! !